Lilacs & Lace: More “New” Vintage Vogues – what is a girl to do? More “New” Vintage Vogues – what is a girl to do? Many of you are probably already aware of the new Summer 2012 Vogue Pattern offerings that were released yesterday. 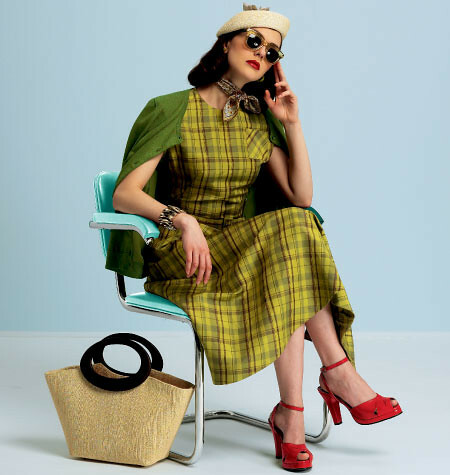 Just when I thought I was hooked on true vintage patterns, in all their perforated glory, Vogue goes and creates more reproduction patterns (along with some lovely contemporary ones as well). Someone is having quite a bit of fun with the vintage reproduction photo shoot styling, and it really is wonderful. Please keep it up! But I have been meaning to get to all of last year’s reproductions, and now I am going to need to make these up as well. Does anyone know how to stretch a day into 36 hours or at least make sleep an antiquated notion? My only complaint with this pattern would be that the super complicated and wonderful design extras are missing. 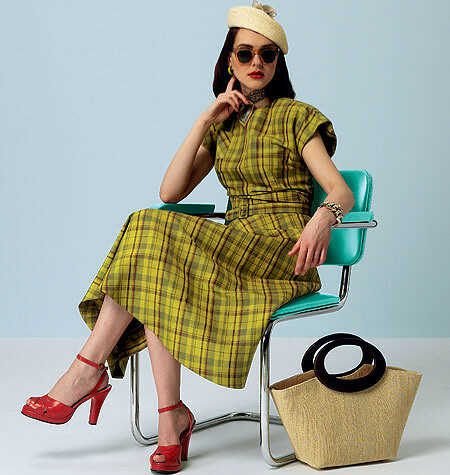 Without the plaid fabric, Vogue 8811 looks very familiar. Although, the diagonal darts are a great feature. I have come across them before and love the effect. With the back button fastening, and gathered bust design, Vogue 8812 is heading in the right direction. More details, please! In theory, I love those two Lialia designs, but I am not sure if I would ever end up making or wearing something like that. I guess that is how most people feel about vintage clothing!? I could, however, get behind (or in) this dress. What fabulous design lines! I love it! Claire Shaeffer also has a new Chanel-style jacket that is probably worth spending the money for the pattern sheets alone – couture construction, here I come! Do you have any new favorites? 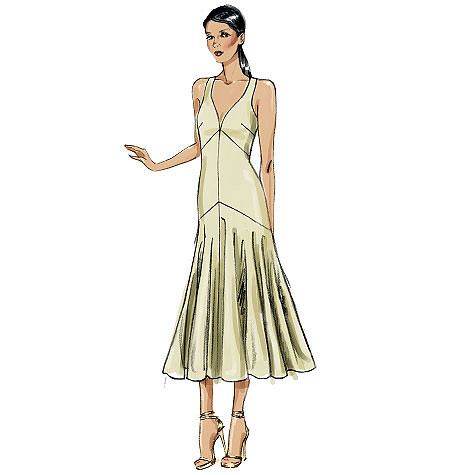 I'm pretty much with you on all of this, although I love the top half of the Lialia shown in red (low square neckline + shoulder flanges = me to a T). Laura, I so completely agree with you about the lack of details! 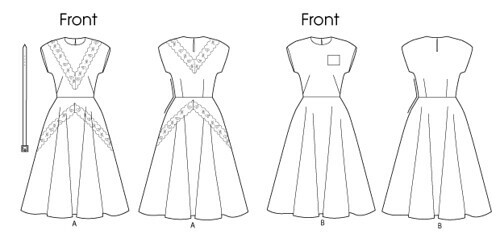 The last four vintage designs from Vogue this year and the two new ones from Butterick look so very plain and almost identical to one another! The exception is the ruched bust one. I like V8811 although interfacing 'hair canvas' puts me off a bit. I generally substitute a plain cotton remnant from my stash for hair canvas, and I believe any non-fusible would work just as well for interfacing the pattern. Isn't that always the case! Some patterns just do not live up to their line drawings. Oh, my. Somehow I missed the back view of the dress the other day. You're right about the zipper!